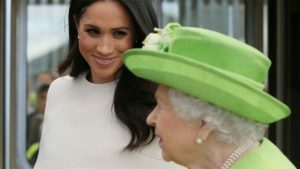 QUEEN AND MEGHAN VISIT CHESHIRE ON FIRST JOINT TRIP – Royal Times of Nigeria. The Queen and Duchess of Sussex are in Cheshire for their first royal engagement together. Her Majesty and newly married Meghan Markle are officially opening the Mersey Gateway Bridge and Chester’s Storyhouse Theatre. They will then attend a lunch at Chester Town Hall as guests of the city council. It is the first time the duchess has attended an event with the Queen without her husband Prince Harry. 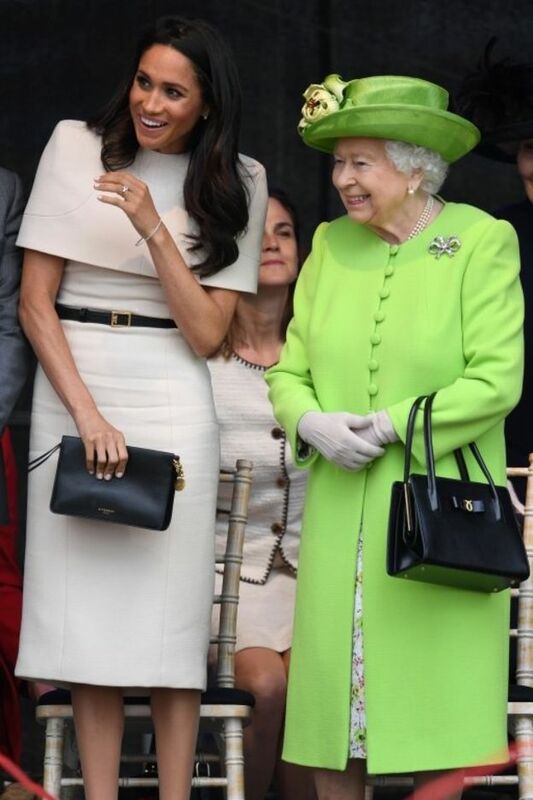 The Queen, wearing green in honour of Grenfell Tower fire victims on the first anniversary of the tragedy, and duchess were greeted by hundreds of cheering schoolchildren as they stepped off the royal train at Runcorn station.